Manhattan Prep and mbaMission have teamed up to bring you the most comprehensive prep for your whole MBA journey. Bundle and save up to $900! Whether in-person or online, your course instructor will help you master every aspect of the GMAT exam. Getting into an elite business school is a crucial step in your career. You deserve someone in your corner who is as committed to this goal as you are. You will have direct access to your mbaMission consultant, who will always respond to you within two business days. Your consultant will perform a deep assessment of your profile and candidacy to develop a thorough understanding of your strengths and weaknesses. 1- and 3-school package clients have unlimited access to brainstorming assistance, resume reviews, and essay revisions. Learn more about the Pre-Application Strategy or 1-School & 3-School Packages. Our most comprehensive set of GMAT study guides and prep materials, Manhattan Prep’s GMAT Complete Prep Set includes everything you need to ace the exam. 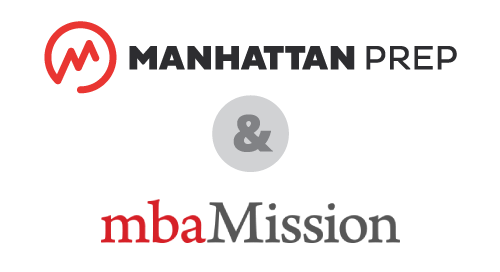 Why did Manhattan Prep partner with mbaMission? Based on Manhattan Prep client feedback, in 2008, we chose to exclusively recommended mbaMission to students seeking to hire an MBA admissions consultant. We initially recommended ten firms, then short-listed four. Ultimately, the name that kept coming up over and over again as the best experience for our students was mbaMission. Since 2008, our firms have worked side-by-side and share values and a commitment to excellence. When will I start working with mbaMission? When you purchase a bundle through Manhattan Prep, your mbaMission package will be valid for two admissions seasons (May 1-April 30). You can choose to start working right away (if you are applying this season) or wait until you are ready to apply (if you are applying later in the season or next season). Once you start working with an mbaMission consultant, you can only use your package for the current admissions season. For example, if you purchase your bundle in April 2016 and plan to apply in R1 of the 2017-18 season, you would wait until early 2017 to begin working with mbaMission. You could not begin working with mbaMission in the 2016-17 season and continue working with them in the 2017-18 season. Our season begins May 1. When will I be paired with an mbaMission consultant? An mbaMission representative will reach out to you right away to ensure that you have a point of contact to guide you through this process. Your contact will ensure that you are matched with your mbaMission consultant, when you commit to starting the application process. Note that many consultants do get booked early, so if you have a specific consultant in mind, you should try to begin as soon as possible. Can I choose the mbaMission consultant I work with? Yes. mbaMission will work with you to select the best consultant available – we will work with you to meet your needs! Can I study for the GMAT and work with my mbaMission consultant at the same time? Absolutely! It is completely up to you whether you want to focus on the GMAT first and then start working on your applications with your consultant, or whether you want to do both at the same time. Where can I learn more about the mbaMission packages offered in the bundle? Use the following links: Pre-Application Strategy or 1 School Package & 3 School Package. What happens if I decide not to apply to business school? You have two application seasons (May 1-April 30) to use your mbaMission package, so even if you decide not to apply this year, you still have another year to use it! 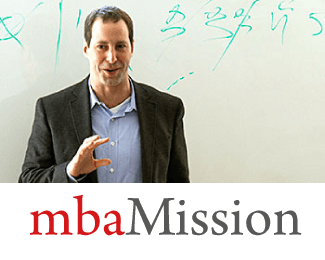 If you decide not to apply to business school at all, unfortunately, you would lose the mbaMission package, as unused mbaMission services are non-refundable. Please only purchase these services if you are certain that you will be applying. If I don’t purchase the bundle now, can I get a discount if I decide to purchase an mbaMission package later? Unfortunately, no. In order to receive the special bundled Manhattan Prep and mbaMission package price, you do have to purchase both up front through Manhattan Prep. Who is a good candidate for a Complete Course? 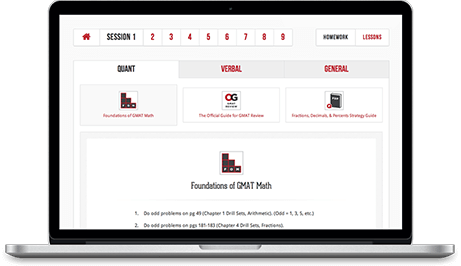 The Complete Course is fully comprehensive – it will review everything that is tested on the GMAT, with both Quant and Verbal topics covered in every single session. It is best for students who are just beginning their GMAT journey, have only done some preliminary studying on their own, or are looking to strengthen their skills in all aspects of the exam. Students who are able to attend every class session will get the most out of the course. We offer the class both online and in-person, and recommend signing up for the option that is most convenient for you. There will be about 10-15 hours of homework assigned between class sessions, so you will want to make sure that you have the time in your schedule to commit to the suggested work. All students, both in-person and online, will have access to our On-Demand course – GMAT Interact. 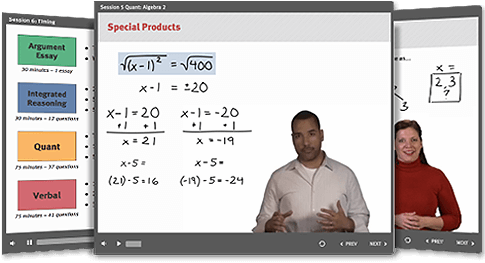 This program covers the same curriculum as the Complete Course, and is broken up into individual interactive lessons that are great for both reviewing material and making up any missed sessions. In-person course students may attend up to three make-up classes during and up to one month after their course. To schedule an in-person make-up class, please visit the “Your Class Schedule” section of your Student Center, or contact Manhattan Prep at 800-576-4628 to reserve a seat in an alternate session. Students in online courses will have each of their class sessions recorded and accessible through Blackboard Collaborate, our live online platform. If you miss a session, you can login at any time and watch recordings of your specific class, taught by your instructors. Recordings are available through Blackboard Collaborate almost immediately after a class session ends. This is limited a time offer and cannot be applied to previously placed orders or existing orders. Bundle discounts are not transferable or redeemable for cash or credit. Manhattan Prep reserves the right to modify or discontinue bundle configurations and/or discounts at any time. Bundle discounts only apply to the three packages listed on this page. Cannot be combined with any other discount or promotion. The mbaMission package purchased as a component of any bundle will be valid for redemption for two admissions seasons (May 1-April 30). Bundle packages and all component services are non-refundable. 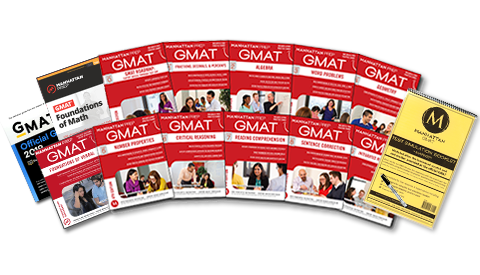 GMAT is a registered trademark of the Graduate Management Admission Council (GMAC), which neither sponsors nor endorses this test preparation service.